Most every time you get out on the road, you’ll see someone towing a trailer. People use them to haul everything from lawn equipment to furniture and you’ll see a wide variety of styles and sizes on the road. Towing a trailer may seem easy but there are several rules you need to follow to make sure you arrive at your destination safely. Many accidents occur due to trailers coming loose and hitting other vehicles, so you have to do all you can to prevent this from happening. Even a simple mistake can result in a serious accident, so it’s important to follow the guidelines associated with towing a trailer. Towing more than the recommended weight limit is dangerous because it makes it harder to control the trailer and it can break loose from the hitch if the load is too heavy. You’ll find the tow rating of the vehicle in the owners manual and on the sticker inside of the driver’s door but that’s just one figure. Don’t forget to check the gross combined weight rating or the GCWR. This is how much everything combined together weighs. The recommended tongue weight should be around ten percent of the weight of the trailer. If you go lower than ten percent the trailer will sway and if the weight is heavier, it will make the vehicle hard to steer and it could damage the rear suspension of the vehicle. While you can put a hitch on any vehicle and use it to tow a trailer, you do need to match your vehicle with the size trailer you use. Vehicles like the Toyota Tundra, 4Runner, Land Cruiser and the Toyota Sequoia SUV are all good choices for heavy towing. 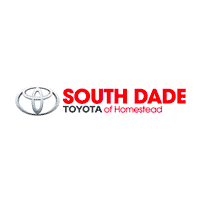 You can find these in addition to a wide selection of other vehicles perfect for pulling a trailer when you visit us here at South Dade Toyota. For added protection that will help ensure you arrive at your destination safely, place a lock on the latch to keep it secure and use safety chains, just in case the trailer does come unhitched. Double check to make sure the running lights, brakes lights, hazard lights and the turn signals all work correctly. You also have different sizes to choose from when buying trailer hitch balls, so make sure the one you’re using is the right size for the trailer you’re towing. When you use the right size, the latch will engage without difficulty and you don’t have to worry about the trailer coming loose. Adjust the trailer so that it’s level with the vehicle when possible to make it pull smoother. When you follow these rules and guidelines, it reduces the risk of having an accident that could result in serious injuries. It will help to protect you, your cargo and the people in the vehicles around you.